Steeped in lore and history, Marquise cut diamonds were often worn by Courtiers to show off their rank. Today, noteworthy persons that sport Marquise diamond rings, include Victoria Beckham, Ashley Simpson and Catherine Zeta Jones. Our relaxed and comfortable offices are based in Dublin city centre and Hatton Garden in London. 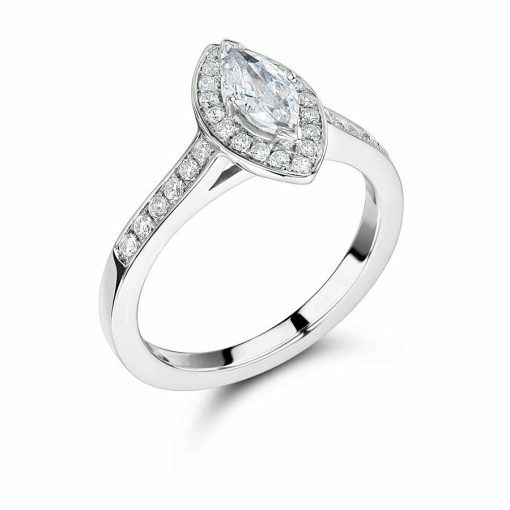 Please contact us to arrange an appointment to view our selection of beautifully crafted, specially chosen diamond and coloured gemstone jewellery. If you like to make an appointment for our Dublin office situated just off Grafton Street, please contact us on 01 677 8449. Our consultants will be delighted to assist you in finding the engagement ring of your dreams.